Of A 2007 JD 8530, 2005 JD 7920, 2007 JD 6603, D-15 Allis, 2001 AGCO R 62 Gleaner Combine, 2002 AGCO 830 corn head, 2005 AGCO Series 8000 20’ bean head, Transport Carts, Kinze 640 Grain cart, 1999 Freightliner Semi Tractor, 2008 Jet Company 42’ Grain Trailer, 2011 JD 2310 Mulch Finisher, 2010 Sunflower 1435 disk, Blu Jet Subtiller, 2006 Top Air 1200 gal Sprayer, Tools, 2012 JD X320 Lawn Mower, Enclosed 5 x 10 Service Trailer and More!! 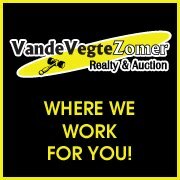 July 17, 2018 @ 10:00 A.M.
See zomerauctions.com for more information!! !